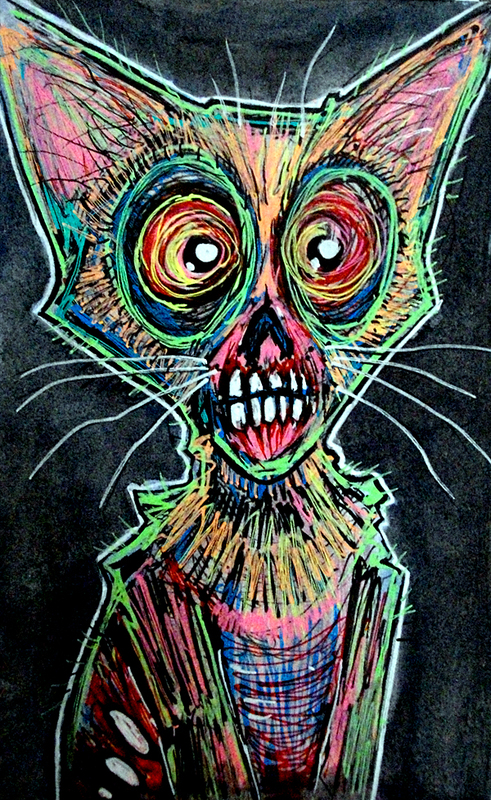 I've never had an acid trip yet, but I hope it makes things more vibrant like this zombie cat. Obviously this little kitteh has taken the plunge in to some sort of toxic industrial sludge to cause this psychedelic neon fur effect. Did someone say 420 ? Original available in the shop ... 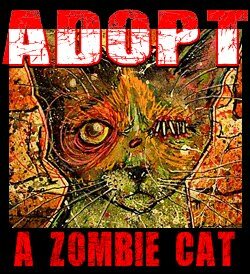 I really look forward to making the protective booklet for this cat. Video of the drawing coming soon.